With fears of dropping and breaking Mr. 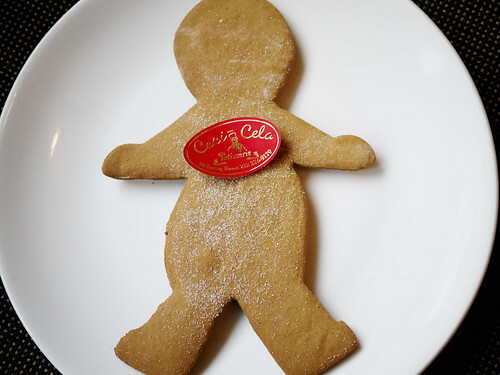 Gingerbread Man, which went unrealized, we trudged carefully on the slippery snow dusted sidewalks of Manhattan this afternoon. Y thought there was something pasty and weird in the residue texture, I thought it was perfectly tasty. A bit egg-y for a gingerbread cookie, but I'll never complain of too much egg flavor in a sweet.